And it’s good news for both me and you. For me, I’m pleased to say I completed my self-imposed penance challenge, to cycle on every day in June [whispers behind hand, “for at least 20 minutes”]. For you, I’m pleased to say you won’t have to hear me going on about it all the time. That is, you won’t have to hear about it again, after this post. For in this post I shall share my ‘results’. Which is not very impressive for someone that lives on cusp of the Peak District, thinks of himself as a cyclist and writes a fugging cycling blog! My ride motivation levels were low. On an objective level, I knew that when I got out on the bike, I tended to enjoy the experience. But that knowledge wasn’t backed up by action. I was concerned that my low fitness levels would make those first few rides too painful. I didn’t know where my cycling kit had spread itself out around the house. I wasn’t sure that my bike was in working order. Note how all of these ‘factors’ were things I was telling myself (in my head, like). It doesn’t exactly require much action to find my cycling jerseys, shorts and shoes; to check over the bike and make sure the chain was oiled. So, not ‘factors’. Excuses. I needed a kick up the harris. So I enlisted a few hundred blog readers to take a run up and deliver me one. Which looks a lot better. Even though I was cycling every day, I made an attempt to balance the ‘training programme’ to include high, moderate and easy intensity sessions. As a result, I didn’t detect any of the symptoms of overtraining (absolute exhaustion, getting ill, injuries, difficulty sleeping). Instead I generally felt good throughout*. What, go for a bike ride? Yes, of course. Oh, you mean the challenge? It was a great way to get over the inertia of starting to cycle on a regular basis again. It has kickstarted my fitness. It has motivated me to improve my diet. I’m hoping I’ve lost a bit of fat (I only started to measure weight and body composition from last Friday). I’ll definitely by setting myself further challenges. Indeed, you’ll probably be aware by now that for July I’ve set myself the challenge of ‘getting lean for performance’. I’ll be more specific on what exactly that means in my next post. 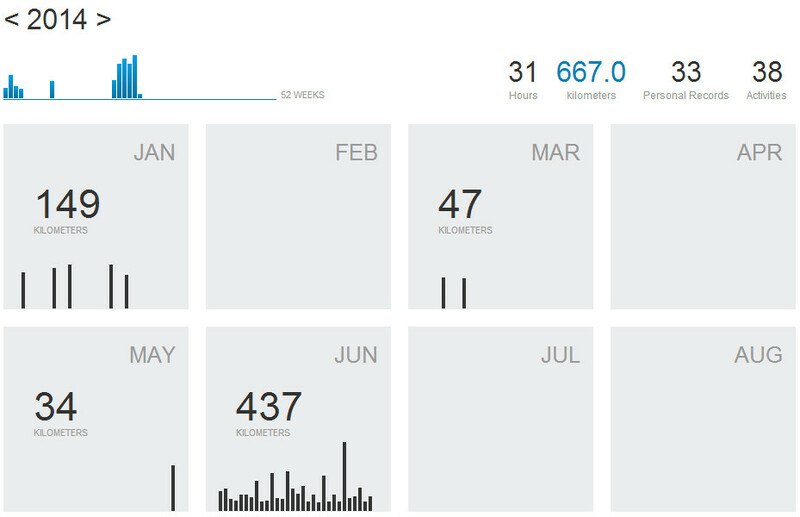 The real challenge would be to see if I can cycle every day in December…. Share your success: with your partner, your accountability partner (who may be the same person), fug it – share it with me! There are a bunch of little tactics I used throughout the month (to do with forward planning, prioritisation, equipment prep etc) which helped make sure I achieved the fundamental objective: to place a lycra-clad derrière (ideally my own) on a faux-leather saddle (ideally attached to a bike). I’ll share these in a future post. Let’s focus on one key message: if you build it, they will come take action! I’ve thoroughly enjoyed this past month’s cycling. I’ve really appreciated all the people that have given me ‘kudos’ on Strava and commented there on what I’ve been up to. Shout outs in particular to Lesley, James and Paul who I think gave me a virtual high five for almost all of the rides I posted. Having the ‘Sportive Cyclist community’ looking over my shoulder, with a stern frown and a cheeky wink (as appropriate) has been instrumental in making me get into the lycra and onto the bike(-ra? ), each and every day, however tired or distracted I felt. My mind is buzzing with ways I can help you bring the same accountability and motivation into your own cycling training regimes. 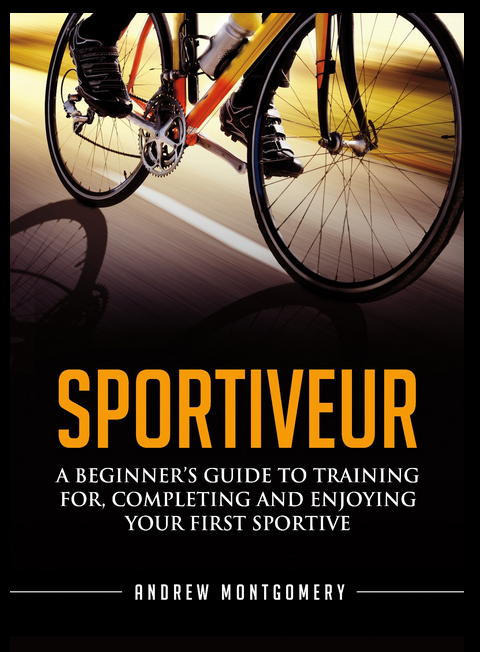 Make sure you don’t miss out on whatever I come up with by signing up to the Sportive Cyclist email list. As a subscriber, you’ll get each post delivered personally to your inbox, as well as free (yes, FREE!) access to my digital toolbox of cycling resources, including the newly-added guide, ‘The Time Starved Cyclist: How To Train When You’ve Got No Time’. Enter your email address in the handy box underneath this post. Congrats on achieving your own goal. I’m pretty new to road cycling and I’m interested to find out what kit you’re using in the house. I’m looking at investing in a turbo trainer but I’m getting distracted with the VR stuff. I’ve seen a few training videos on YouTube which look like they could be good to use linked through a TV to train with. Any thoughts? 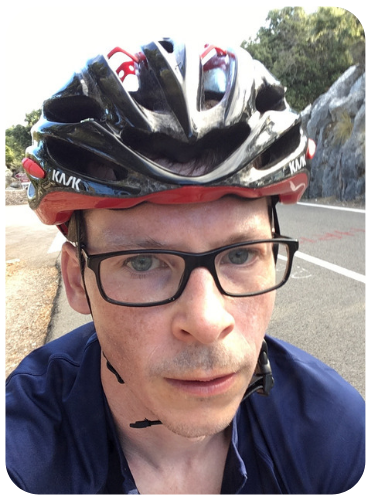 Gareth, I originally embarked on a 10 week novice training programme from Sufferfest when I found out I’d got a place in the Prudential Ride100 this year. I had an old turbo trainer (no adjustability) and it really didn’t work that well. The Sufferfest videos and the plan are great – just the right amount of motivation and amusement – 2 days outside per week, two days on the trainer. The trainer was not great so I looked around and eventually settled on a BKool trainer which seems to be mid range. You need a PC to control it (I had an old spare laptop I could use) but it gives power etc. and you can also use their online videos to provide courses if you want to. I researched the trainers at http://www.dcrainmaker.com amongst other places which is a great place for kit reviews. I’m a bit more lo-fi. I have an Elite Chrono turbo trainer which I’ve been very pleased with. I can’t remember the precise term for it (maybe progressive resistance?) but it doesn’t have controls per se. Instead, as I go up the gears on my bike it becomes more difficult to pedal. In terms of AV, I normally listen to a podcast on my phone. I am thinking though that as I need to put in more intense efforts, this may be too distracting and prevent me putting in the work. That said, for the next 23 days, minus rest days (mine and theirs), I’ll have my laptop set up so I can watch TdF highlights on ITV4 whilst I’m on the turbo. You can do an interval session where you sprint balls out during the advert break then recover whilst Liggett and Sherwin deliver their pearls of wisdom.